Andy Gray & Richard Keys. Still honking. Image via digitalspy. 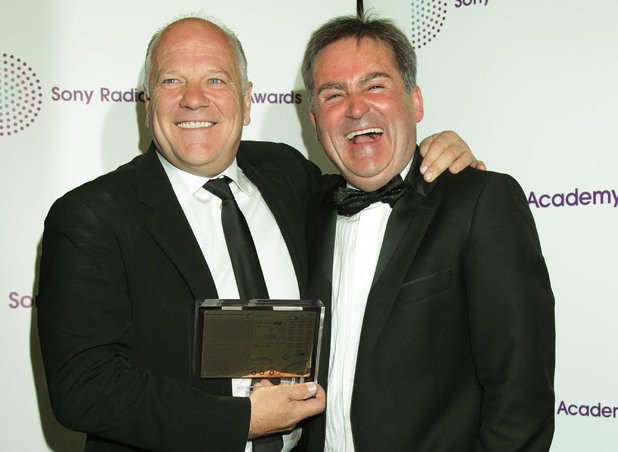 It’s just over two years since Richard Keys and Andy Gray were sentenced for crimes against football. At the time, the almost universal rejection of the El Crude Brother’s comments about the ability of a female official to work out when a player was offside felt like a watershed moment, and while it’s unlikely that sexism (along with it’s intolerant bedfellows homophobia and racism) will ever be kicked out completely, it was refreshing to see so many writers, pundits and fans take the opportunity to condemn the remarks and affirm their commitment to an inclusive sport for all to enjoy. So has a sustained period snuffling about in the undergrowth of football, incorporating a show on Talk Sport and an ill-fated foray into the after-dinner speaking circuit eased them into an accelerated evolution programme, where women are free to run the line without fear of character assassination by virtue of their gender? Given the same circumstances, would the appearance of Sian Massey in the Molineux Stadium have been overlooked on that fateful day, in favour of more relevant footballing matters? I highly doubt it. While their new handlers at Al-Jazeera‘s sports channel will be keeping a tight leash on them for the duration of their tenure, the use of the term ‘Smash It!’ (a reference to an unconnected but equally revolting comment by Keys that was publicised in the aftermath of Massey-gate), to promote their corporate hospitality nights implies their shame over the comments was limited. Yes, the jokes about them fitting in well in a country where women effectively remain second class citizens will be on special offer for the next couple of weeks, but as an up-and-comer in the growing market for live football broadcasting, the Doha based company can ill-afford a similar scandal at this stage in their development. The reality is, there are still plenty of people in football, some of them high profile, who feel that women should stay away from football and the dynamic duo’s words were just ‘banter‘. They won’t change, regardless of whether Keys and Gray are being paid a stack of cash for their services or not. The important thing here is that the many fans – those who watch, write, think and talk about the game with others who are interested, regardless of age, gender, sexual preference and/or religion – took the opportunity to reject such notions and assert the view that these opinions belong to a different time. If Al-Jazeera think that their brand of punditry and frat boy honking is still relevant, it’s their loss, isn’t it? We’re too busy watching the footie to care.